The Seymour Duncan SJAG-2 Hot For Jaguar® Single Coil Neck Pickup is a high output single coil pickup designed for the Fender Jaguar®. Ideal for warm-sounding instruments, its full-bodied sound is perfect for a wide range of styles, from heavy rock to country to blues. With a hotter output than the SJAG-1 Vintage Jaguar® pickups, the SJAG-2 delivers a rich, vibrant sound with a strong mid-range response and excellent sustain. 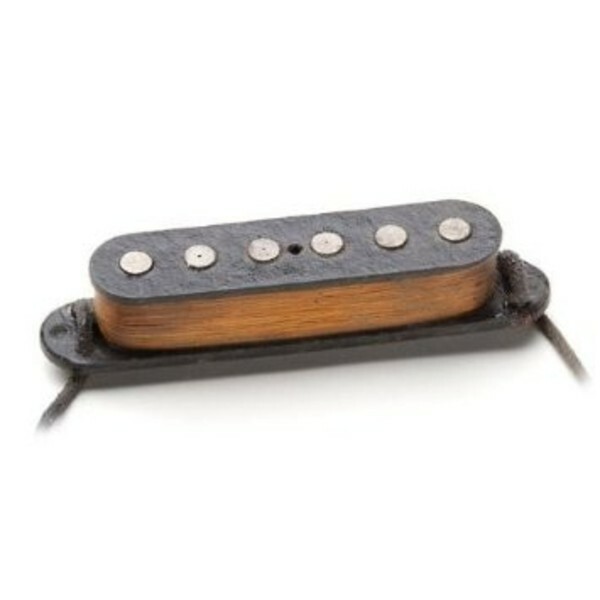 Recommended for warmer-toned Ash, Alder or Basswood body instruments, particularly those with Rosewood fingerboards, this versatile pickup is ideal for country, pop, surf, blues, classic rock and heavy rock music.